Let's ask more questions! More questions will allow more answers, and good, answered questions make our site even more awesome. More good questions can also help in our quest to graduate. Plus, asking and answering more questions can earn you valuable reputation points and badges! While we're asking more questions, let's try to fill out some of our under-served tags. Did you know that when our top 40 tags each have 200 questions, people can earn the Generalist badge? This is kind of a site milestone (not just about individuals earning badges) -- can we do it? Let's find out! You get one point per qualifying question, regardless of how many tags it uses. You can use tags as often as you like. Tags are an ever-moving target (and some curation is happening). If a question qualified at the time you asked it, that's good enough -- we will not yank points out from under you with housekeeping retaggings. However, if you add a clearly-bogus tag just to get a contest entry, judges reserve the right to disqualify a question. This rule is here for rules lawyers, not because I think it likely that our community members are going to game this. We probably haven't anticipated all wrinkles that might come up. We reserve the right to modify the rules during the contest if need be. Our goal is to be reasonable and, within that, err on the side of giving points -- we're here to have fun together and help our site. We're setting a minimum of 10 questions on a tag because we've got some noise down at the very bottom of the tag list, and so that new tags get some vetting from the community before they count for contest entries. If you don't have enough reputation to edit the answer, leave a comment on the answer with the information and someone will edit it in for you. If you see an entry you think doesn't qualify, leave a comment on the answer explaining the problem. What do you get? More good questions for the site! Bragging rights! The very best prize, of course, would be for Writing to graduate, but that isn't under our control. Nice notebooks, though, I can send you! And some pens looted from another site, because all of our users are super, too! And there just might be some other things in your box too -- we'll see! For the winners and wrap-up, see this announcement. Or, when you have more than one entry (which I hope lots of people will), use sub-lists (follow Cyn's lead). One entry per question, not one entry per tag. screenwritingplanning Why write a book when there's a movie in my head? science-fictiongenre Is time travel science fiction or fantasy? translationlanguagelyricsmiddle-grade What language shall they sing in? researchmiddle-gradehistorical-fiction Incorporating research and background: How much is too much? bookresearchbloghistorical-fiction Should I write a companion book/blog? submitting-workchapters What to submit when asked for "sample chapters"? education Is it necessary to take writing classes and learn formal fiction structure? young-adultmiddle-grade Is there a market for all-ages novels? careerwriting-groups Should I join writers organizations? genre,tropes How do I avoid the "chosen hero" feeling? world-building,creative-writing How many elements can you focus on during worldbuilding? marketing,blog,social-media,website Should an author include user-interactive sections in his website? conventions,creative-writing,style Are paired adjectives bad style? creative-writing,publishing,short-story,genre,theme What should tie a collection of short-stories together? technical-writing,citation,software-documentation,documentation How to include external references when writing internal documentation? creative-writing,characters,novel,pov,reader-engagement Does the reader need to like the PoV character? creative-writing,characters,novel,humor How can I write humor as character trait? creative-writing,technique,description,metaphor,figures-of-speech When is using a simile better than giving a literal description? creative-writing,exercises,contests Are friendly writing contests a useful exercise? horror,emotions Can disgust be a key component of horror? creative-writing,novel,structure,sequel,3-acts Introducing a character in the third act? Mithrandir, young-adult, young-author, setting: When writing in a school context without ever having been to school, how do I make sure that my story is accurate within school context? Spectrosaurus, historical-fiction, narrator, voice: Is it possible to narrate a novel in a faux-historical style without alienating the reader? planning, websites,creative-commons: Can we "borrow" our answers to populate our own websites? websites time-management Content Sites - any still around and useful? non-fiction Self-publishing Nonfiction Help Guides on Amazon? F1Krazy, exposition, protagonist: Protagonist constantly has to have long words explained to her. Will this get tedious? language, Showing friendship between people of different ranks - maintain formality, or drop it? playwritingplanning, What are the meta considerations when writing a play? researchfirst-time-author, Consulting experts - why should they talk to someone who isn't a published writer yet? software, Coloured comments in a text editor - is it possible? namingnarrator, What should the omniscient narrator call a character? punctuation, End-of-line hyphenation - how should it be used? audience, How do I write for the majority, without alienating my minority? story, Help! My Character is too much for her story! openings, How to open a serious speech? pacing3-act, Turning away from the 3-act structure - what guides my pacing now? scenepov, Pre-modern battle - command it, or fight in it? translation, Famous mistranslations - correct them? languagequotesfigures-of-speech, When does a phrase change from “quote” to “expression coined by”? 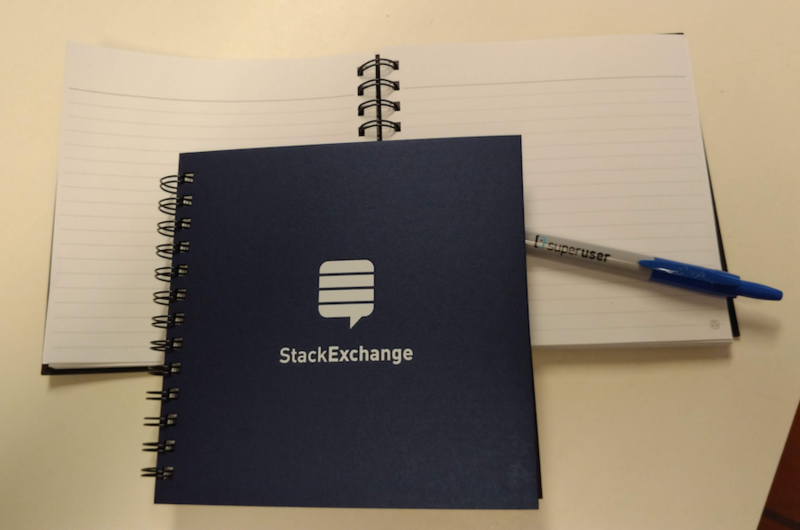 process, How to write a Stack Exchange comment? poetrycriticismfeedback, What to look for when criticizing poetry? writers-blockprocessdisciplinetime-management, What are some techniques to avoid digital distraction? criticismfeedback, Criticizing long fiction. How is it different from short? process, How to write a Stack Exchange Question? twist, Too soon for a plot twist? processrules, Rules about breaking the rules. How do I do it well? process, When must a character grow beyond their archetype? processtheme, Does success imply validation and agreement? plagiarism, Can I write a book of my D&D game? readersprocess, Write for an audience or find an audience for your writing? writers-block, How to write exciting updates? beta-readersfeedback, Should beta-readers have genre experience? clarity, How to write a puzzle without being too descriptive or vague? self-publishingblog,What exactly is the difference between Wordpress.org and Wordpress.com and what should be used for self publishing? stylemarketing,How to make readers know that my work has used a hidden constraint? celtschk, foreshadowing, What is a good way to foreshadow that magic is actually very advanced technology? videogame wordcount branching-narrative How many words do visual novels contain on average per hour of gameplay? translation fantasy novel How much does translating a novel cost? sales international fantasy In which countries do printed fantasy novels sell the most? blog morality Do I need to convey a moral for each of my blog posts? blog What should be the ideal length of sentences in a blog post for ease of reading? blog Is it advisable to write a teaser for your blog posts? blog How to collect scattered ideas on various topics in to a blog post/ writing article? blog artwork How large should photos on my blog be? software tools How can I highlight changes in HTML output from Flare, based on branch diff? . websites career When should a starting writer get his own webpage? outline brainstorming How specific should I get when brainstorming with what-if exercise? criticism reviews Is there a crowd-sourced site for reviews and critique? fiction structure chapters Is there a place for an epilogue in a standalone novel? proofreading first-draft beta-readers Should I show the plot to my beta reader? characters plot realism Would it be believable to defy demographics in a story? technique language middle-grade profanity How to write cleanly even if my character uses expletive language? pseudonym career Should I create a domain name using a pen name that is common with another person's domain name? planning Best practice for academic writing: write and cite or write first? Not the answer you're looking for? Browse other questions tagged discussion site-promotion contest .